I came across a great idea the other day. You know the kind, the one where you already have all the materials and there's almost no set up needed yet you suspect it is going to be a big hit with the kids? Yeah, that kind of great idea. 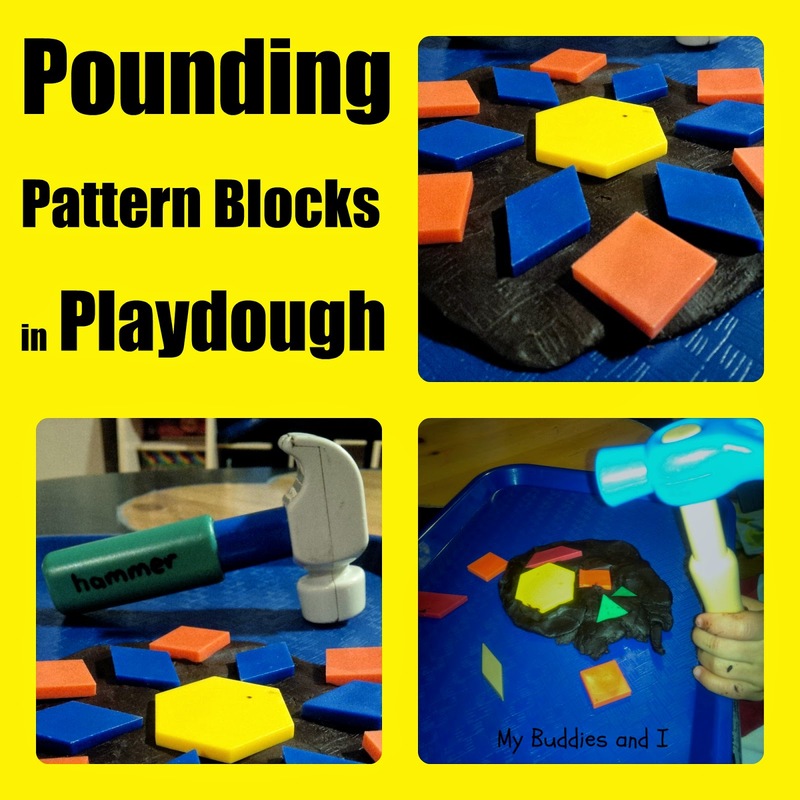 I found the idea over at Munchkins and Moms where they were using pattern blocks together with playdough. I knew my buddies would like this too and I got my playdough trays, playdough and pattern blocks out. I expected my buddies to use the playdough and pattern blocks in a similar fashion but they didn't. They immediately grabbed hammers and used them to really pound the pattern blocks into the playdough. Not at all what I expected or intended them to do! You'll have to see how the kids at Munchkins and Moms used the pattern blocks and playdough. The link to their activity is above. My buddies were having a lot of fun and I love seeing that. They were fully engaged and using both the fine motor skills that I expected them to use, and also some gross motor skills as they pounded away with the hammers. The activity held their attention for a good long time. My buddies haven't been really excited about drawing or colouring but they were very much enjoying the art of making designs with the blocks in the playdough. I think the dark playdough provided a nice contrast to the brightly coloured pattern blocks, too. I love that I could introduce the pattern blocks to my 2 year old buddies in a way that they could have fun with them. I especially love that they came up with the idea of using the hammers! They are such creative thinkers! 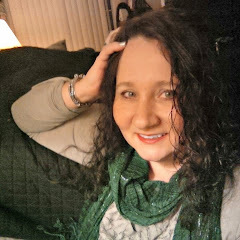 I hope you will try this out with your kids, too. I bet they will come up with their own creative ideas for the materials - I'd love to hear what they do!